Family Law | Jacksonville Family Lawyers Law Offices of Ellis and Bryant, P.A. The attorneys at Ellis and Bryant, P.A. represent people in divorce cases and disputes related to child custody and support, property division, and alimony, among other matters. Our Jacksonville family law lawyers understand that these issues often cause significant stress and complications for the people involved, since they may affect their future for many years to come. We work proactively to resolve these matters efficiently and without unnecessary rancor while standing ready to take cases to trial when necessary. Our divorce lawyers are committed to providing comprehensive legal services to the people whom we represent, and we are ready to listen to the nuances of your needs and goals. 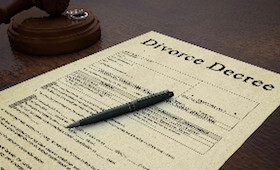 Some divorcing spouses may take advantage of a streamlined divorce process that gives them the opportunity to end the marriage in a relatively quick manner. To be eligible for this simplified process, the spouses must not have any minor children. They also need to agree that neither spouse will get alimony and have a plan for dividing their shared property. Spouses who do not qualify for the simplified process must go through what is called a “contested” divorce. Divorces may raise particularly complicated issues for people with kids. However, even if they must go through the contested divorce process, divorcing spouses may still decide on their own how their children will be cared for and protected. 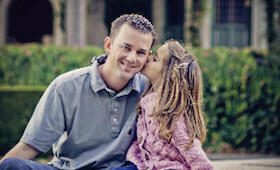 They may reach a negotiated settlement agreement on issues like child custody (now known as timesharing) and support, and they may develop a parenting plan that describes in detail where the children will live, how much time they will spend with each parent, and how parenting responsibilities will be shared. If the parents are unable to agree, a court will need to decide these matters for them according to the best interest of the child involved. Our family law attorneys can advise Jacksonville residents on crafting a parenting plan or going through a timesharing dispute in court. Florida is an equitable distribution state, which means that the court must divide the marital property of the spouses in a way that is fair but not necessarily 50/50. Separate property, which is property that each spouse brought into the marriage or acquired by gift or inheritance, is generally not subject to division. In some cases, the spouses may craft a premarital or post-marital agreement that provides for a certain property distribution in the event of a divorce, and questions regarding the validity of the agreement also may arise. At Ellis and Bryant, we take the time to understand each and every client’s individual situation, and we craft a strategy that is personalized to their circumstances. Call us at (904) 551-4120 or contact us online to speak with a Jacksonville family law attorney about your situation. We represent people in Jacksonville, Jacksonville Beach, Orange Park, Middleburg, and other communities in Duval and Clay Counties. Our firm also is available if you need a criminal defense lawyer to help you fight charges.